Fig. 1.4.06. 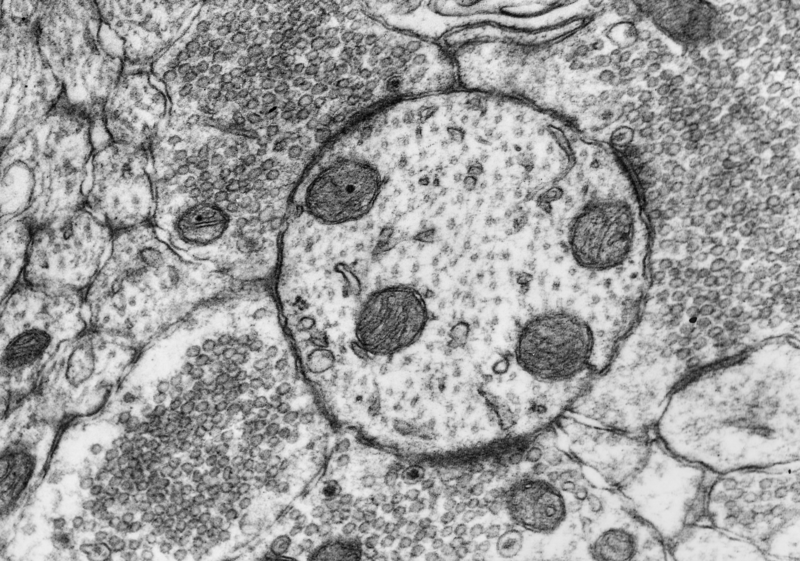 Dendrite of a nonspiny interneuron sectioned transversally (D), covered completely with axonal terminal boutons. S - axo-dendritic synapses. Scale = 1 µm. (Rat, hippocampus.) Download the high resolution image.